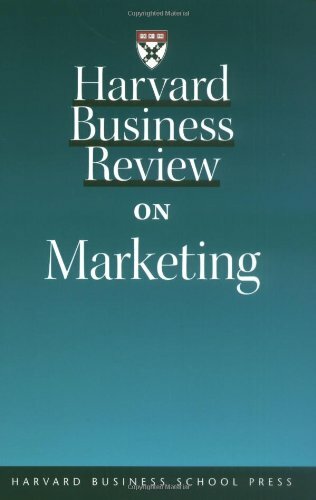 Harvard Business Review on Marketing features a mix of classic articles and some of the best new thinking. It provides a diverse look at marketing, including global branding, one-to-one marketing and how to manage buzz. "Bringing a Dying Brand Back to Life"
"How to Fight a Price War"
"The Lure of Global Branding"
"Are the Strategic Stars Aligned for Your Corporate Brand?" "Torment Your Customers (They'll Love It)"
"Boost Your Marketing ROI with Experimental Design"